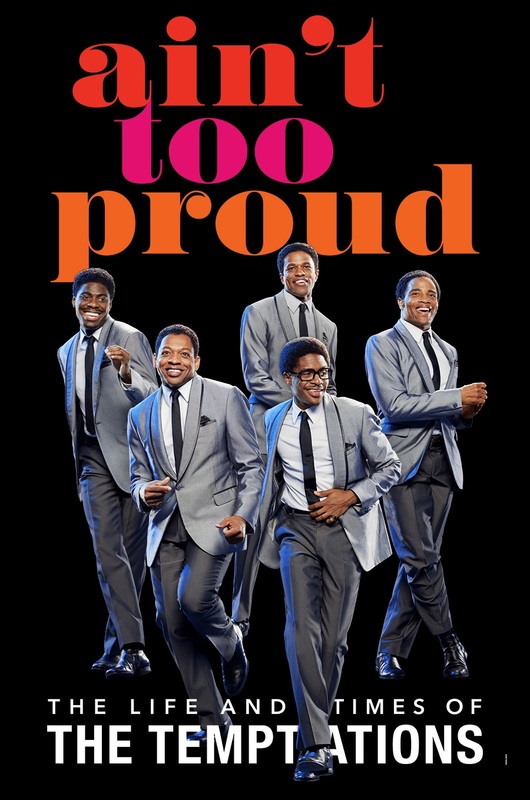 It’s easy to make broad comparisons between Jersey Boys and Ain’t Too Proud, the new musical based on the life and times of the Temptations with a book by Dominique Morisseau. In many ways, Broadway’s take on Frankie Valli and the Four Seasons was the first to prove that a bio-musical could be both emotional and entertaining. But those comparisons go deeper than their shared format through director (Des McAnuff) and choreographer (Sergio Trujillo). Both shows move swiftly and succinctly through the rise and creation of some of the most popular music in American history - and to entertaining results. Like The Four Seasons, the Temptations was made of men with strong and sometimes competing personalities, and in both shows, much of the drama stems from absent parenting or addiction issues. The Ain’t Too Proud ensemble functions similarly to that of Jersey Boys as well, with the men playing managers or replacement group members and the women playing their romantic and sexual exploits. Like in Jersey Boys, one of Ain’t Too Proud’s most enjoyable tangents is an extended sequence by a girl group - this show’s being the Supremes played by Taylor Symone Jackson, Nasia Thomas and Candice Marie Woods. Also as is the case in Jersey Boys, the ensemble is charged with quickly establishing characters for the leading men to play off. This challenge is met exceptionally well by the 11-member ensemble, playing roles both large and small. However, none have a heavier lift or meet the challenge more successfully than Rashidra Scott. As Otis Williams’ wife Josephine, Scott is charged with establishing an emotional grounding for the plot. In just four short scenes, she brings empathy and humor to her role, as well as a dose of showstopping vocals. Many of Scott’s fellow ensemble members also bring expertise to small roles. Jahi Kearse (Holler If Ya Hear Me, Baby, It’s You!) bestows a formidable but compassionate strength to his commanding take on Motown founder Berry Gordy. 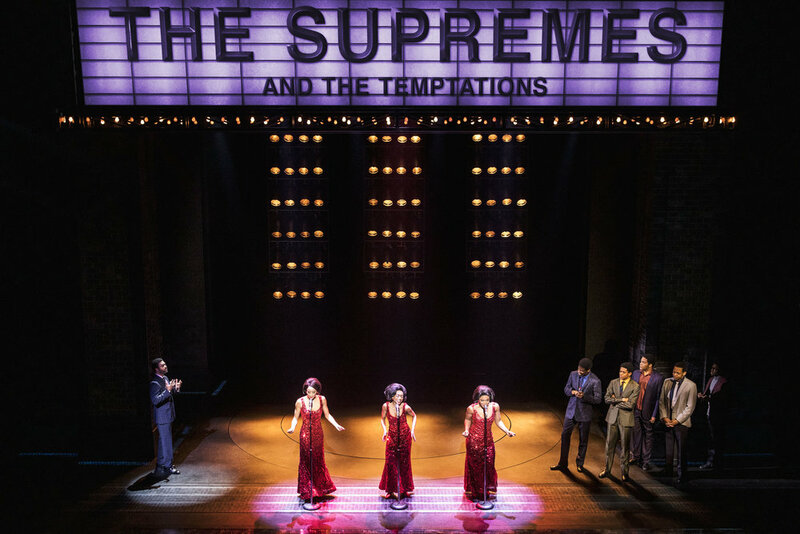 In her Broadway debut, Taylor Symone Jackson has the audience hooting with laughter in her short turn as Temptations manager Johnnie Mae, and Beautiful vet Nasia Thomas brings some of that signature Sergio Trujillo energy to the show as spitfire Tammi Terrell. In Ain’t Too Proud, we also spend considerable time with Temptations beyond the group’s core five. Saint Aubyn as Dennis Edwards and E. Clayton Cornelious as Richard Street each bring strong vocals and slick moves to their time in the group. Most notably, Jarvis B. Manning, Jr. as original Temptation Al Bryant is a revelation. It’s hard to believe this role qualifies as an ensemble track, with Bryant spending almost the entirety of the show’s first act as the lead singer of the Temptations. Manning, Jr. commands the stage with charisma, endowing his role with a winning smile and powerhouse vocals. While Ain’t Too Proud marks his second show on the Main Stem (after Motown The Musical’s short-lived return to Broadway in 2016), it certainly won’t be the last time New York audiences will see him shine. What’s new for Broadway in Ain’t Too Proud? I’m not sure. Between Motown The Musical, Beautiful and Jersey Boys, the elements of the show feel like things already seen on Broadway in recent seasons, but between the well-loved music, Sergio Trujillo’s reliably crowd-pleasing choreography and strong performances across the board, it’s a heck of a fun night at the theatre.